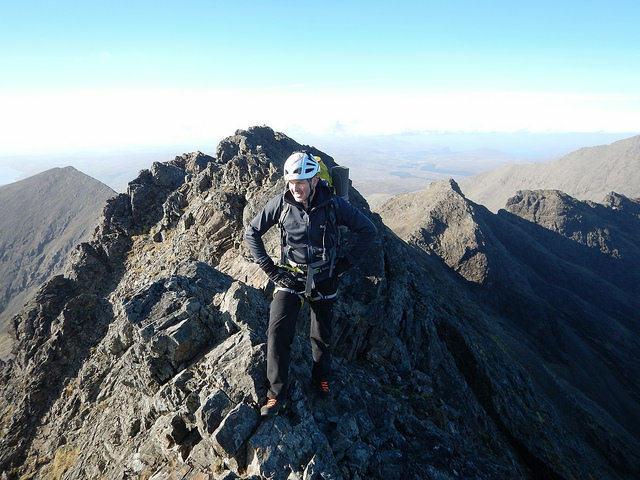 The 11 Munros of Skye's Cuillin Ridge are the most technical to complete and even includes a Moderate graded rock climb to summit the Inaccessible Pinnacle on Sgurr Dearg. What we are able to do always depends on the conditions but you can be sure that your guide will always select the best objective for each day. If you have more time on Skye you could even finish off all the Skye Munro's with a guided ascent of Bla Bheinn on the Clach Glas ridge. 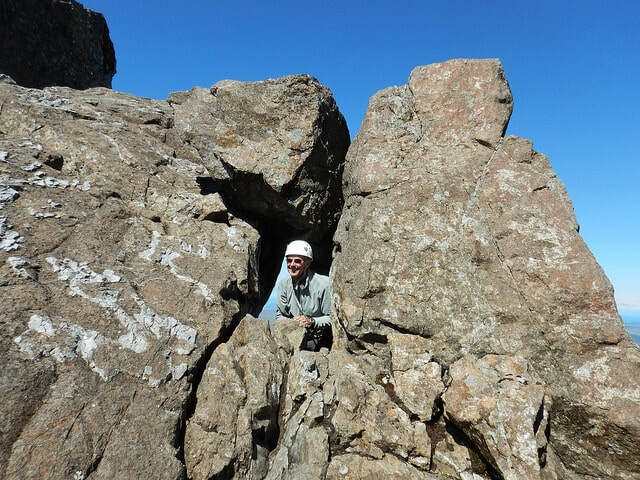 Let us know if you only have a few of the Munro's left to do, or you just want to do a day or two of scrambling or climbing on the ridge and we can let you know what's possible. 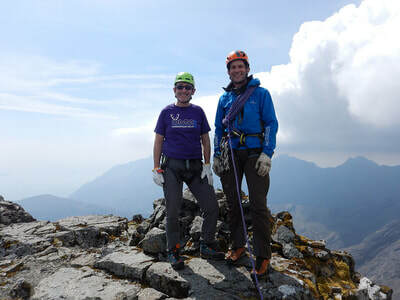 As well as some set dates for the summer of 2019, we can run guided Cuillin Munro Bagging, scrambling and rock climbing on any days of the week so get in touch to check our availability and make a booking. 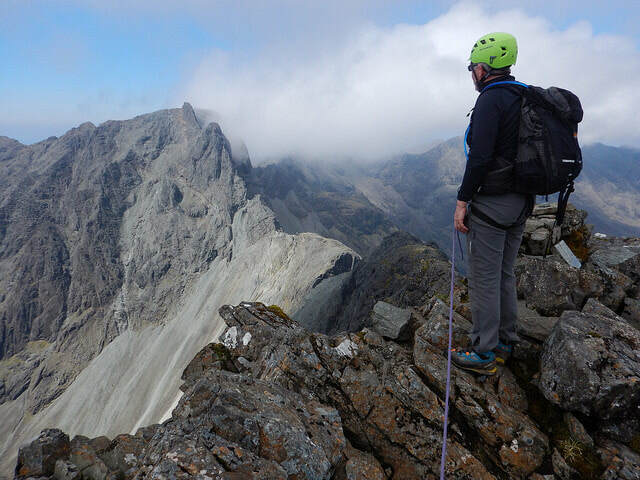 For Cuillin Munro Bagging we guide at a maximum ratio of 1:3. For other day trips onto the ridge 1:4 is possible but will reduce the number of feasible options open to us.